Posted September 30th, 2016 by dogkeeper & filed under Piddle Party, Submitted. Posted July 26th, 2015 by Audra Williams & filed under Bed Hogs, Submitted. 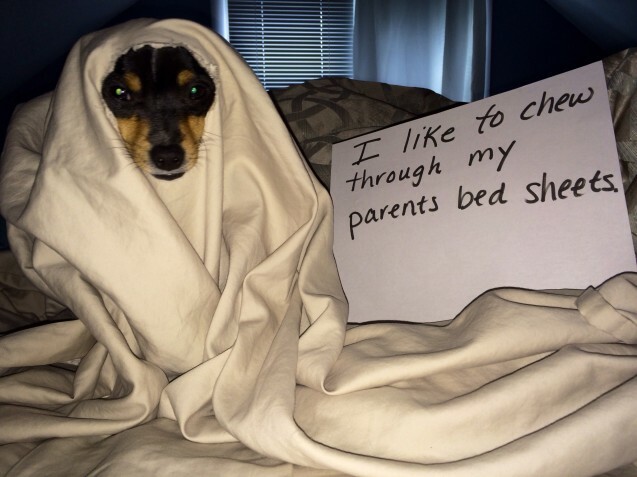 I wait until my parents fall asleep then I chew through their sheets. 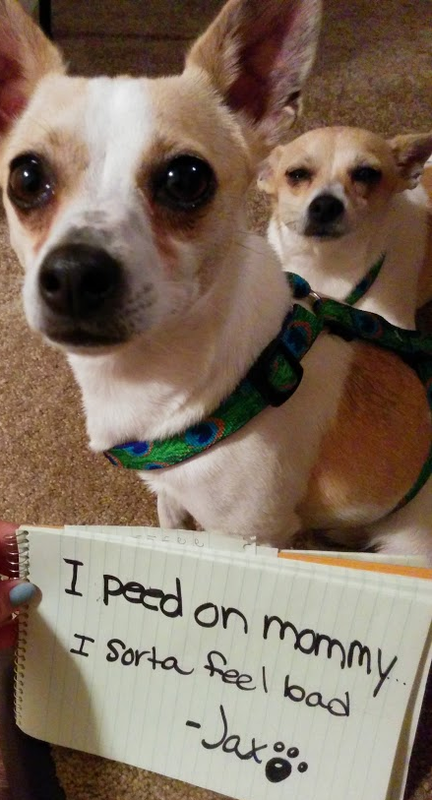 Posted April 10th, 2015 by Audra Williams & filed under Disgusting Doggies, Submitted. Posted September 28th, 2014 by & filed under Double Trouble, Submitted. Posted November 25th, 2012 by & filed under Bed Hogs, Double Trouble, Submitted. Our large pit bull has many beds scattered throughout the house. 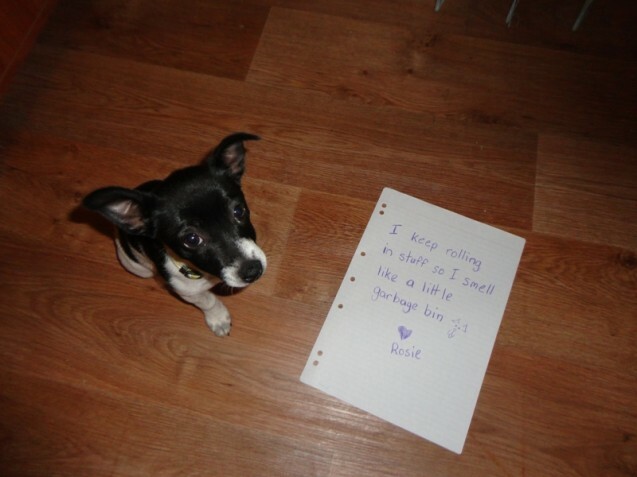 But her favourite one belongs to our tiny terrier. 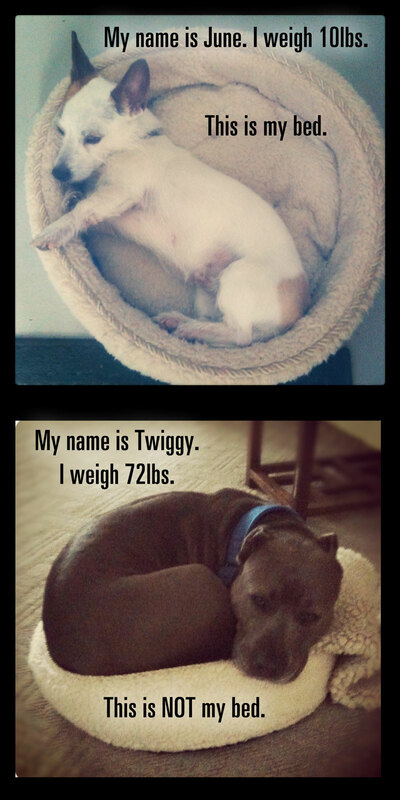 Twiggy somehow curls herself up into a “pitball” and shoehorns herself into what is basically a repurposed cat bed. 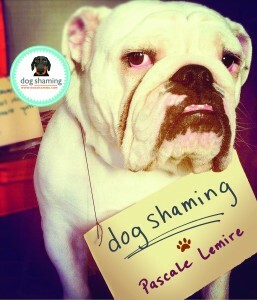 For shame, silly dog! 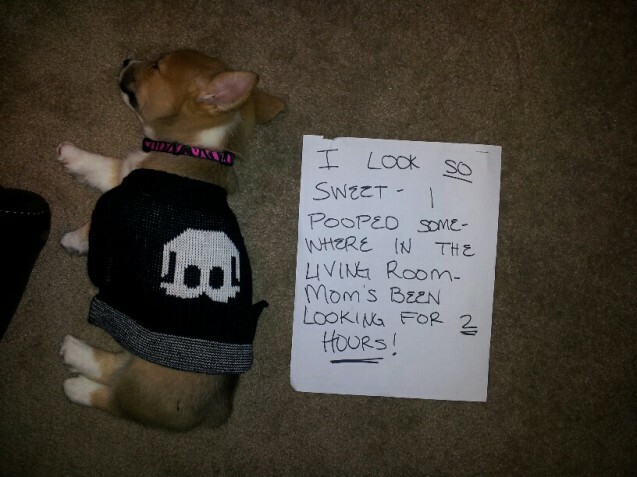 Posted October 7th, 2012 by & filed under Submitted, Surprise Poops. I look SO sweet- I pooped somewhere in the livingroom- Mom’s been looking for 2 HOURS! 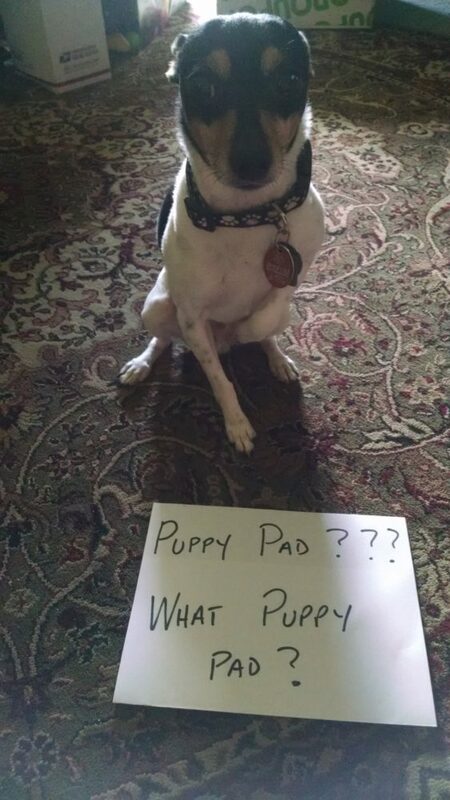 Posted August 29th, 2012 by & filed under Bad Babysitter, Pilfering Pooches, Sock It To Me, Submitted. 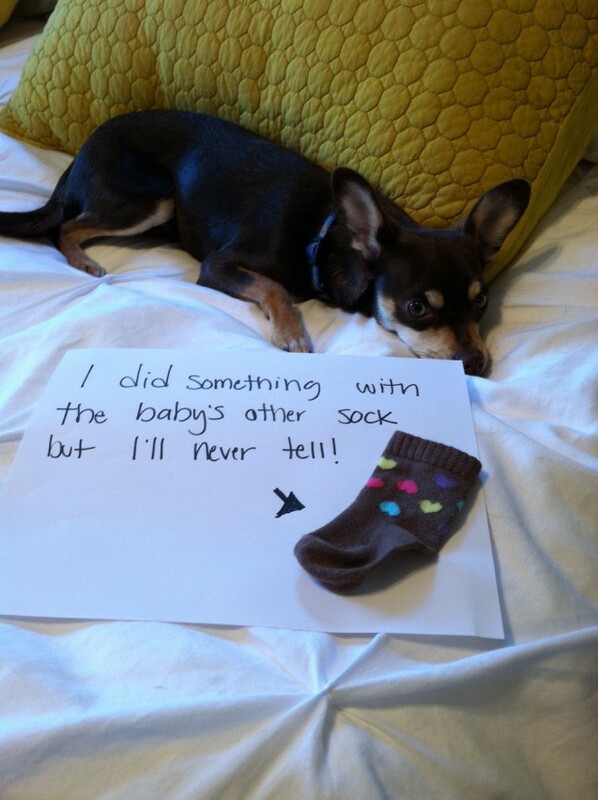 I did something with the baby’s other sock but I’ll never tell! I also like to lick the baby’s face ALL THE TIME. 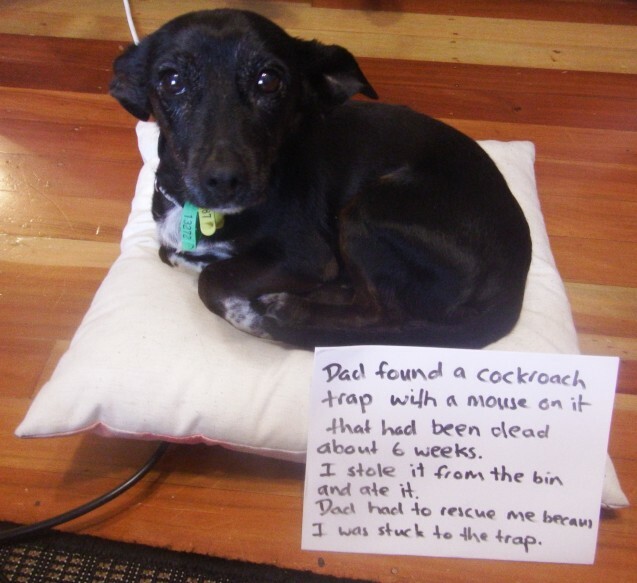 Posted August 28th, 2012 by & filed under Pilfering Pooches, Submitted. 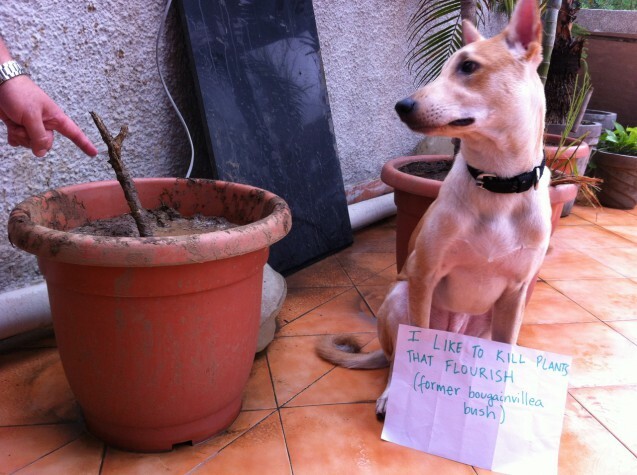 I like to kill plants that flourish (former bougainvillea bush).